Selling Restaurants presents this 2558 Sq Ft Facility EQUIPPED to the MAX with equipment you only dream about.Owner has a Family Medical Emergency and has Lowered already bargain price For FAST SALE. Owners spent $600,000+ building and equipping this beautiful kitchen facility. It has Huge Walk in Cooler and Freezer, Mixers, Large prep areas, ETC. 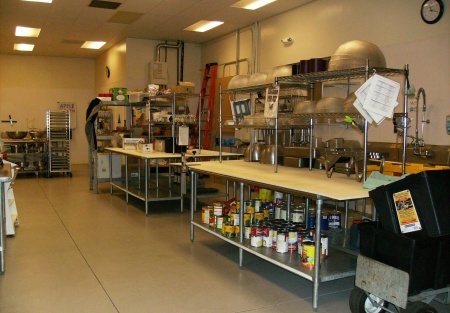 You MUST SEE this if you are into catering OR looking for a commissary Facility to prepare items for your growing concept this is one you won't want to pass up on.All equipment is only 2 1/2 years old, most still under warranty. Located in an industrial area complex with lots of businesses in surrounding area. Great rent factor. Present Operation is a FRANCHISE buyer could continue to operate OR Buyer can take over location and do Your Own Thing. Click on any of the orange buttons below to get all the information on this listing, don't miss this one.This is a a Paramount Restaurant Brokers, Inc. listing. Family Medical Condition Forces Extreme price Reduction. Low Rent making your bottom line grow fast. Presently operated as a franchise, buyer can take over franchise or just buy facility and operate to your own needs.